Why is company raising the cash? "Noble said the gross proceeds from the rights issue will be about $718.9 million, with net proceeds estimated at around $696.1 million.The net proceeds will be used for debt repayment, working capital and general corporate purposes." "(June 16): Noble Group’s credit rating was cut by S&P Global Ratings for the second time in six months, citing its weakened liquidity position and higher funding costs despite recent efforts to raise cash." in summary :Company need investors money to pay off some debts. 1) they believe that noble group one day will do a comeback like what Osim did. "if osim can, maybe Noble also can"
3) Since already lose so much already might as well buy more if bounce up then.. hor seh liao. scenario 1: you manage to buy the rights, (in another words, average down) your total cost of purchase is lowered, if the price go back up. You break even, or make more money. 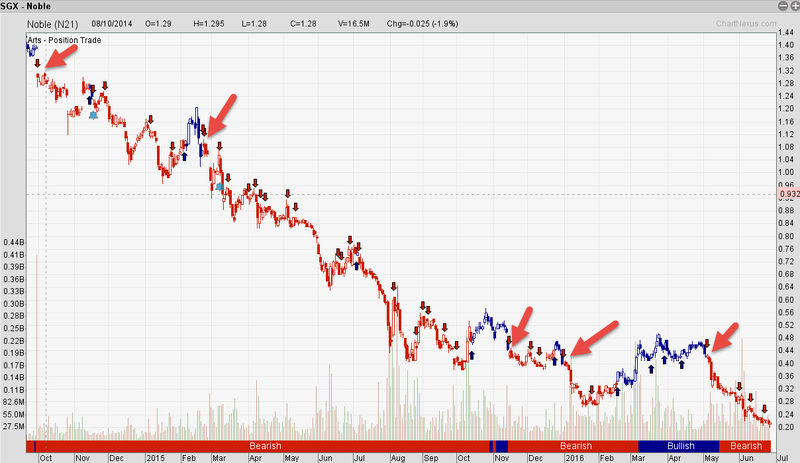 scenario 2: company cannot turn around and, interest rate up, cash run low again they will issue another rights? What keeps me away for such a downtrend stock? 2) I only buy more shares if I am in profit. Base on my rules of trading, of cause i will not subscribe the rights. I wouldn't be Long on noble in the first place when it is obviously downtrending. Can a blogger bring down a billion dollar company? good read from FT.com "Today the market value of the company — which is listed in Singapore — has collapsed to $1.1bn, its chief executive has left, and Mr Elman, 76, has announced he will step down as executive chairman in the next 12 months. In February, it reported annual losses for the first time in more than 20 years after taking $1.2bn in writedowns and charges, largely related to the value of long-term contracts it has been accused of overstating by short sellers, hedge funds and a former employee turned financial blogger." Do you think what Muddy water write makes more sense now? Following red candle to sell, you will avoid losses on the downtrend. period. Since 2014 we have been covering Noble group. 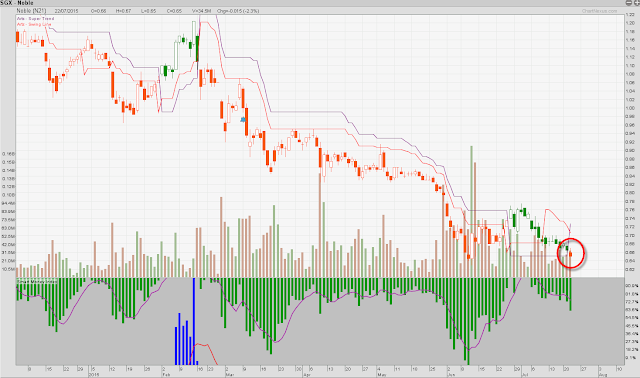 So far we have kept our reader "safe" by avoiding or shorting this stock. 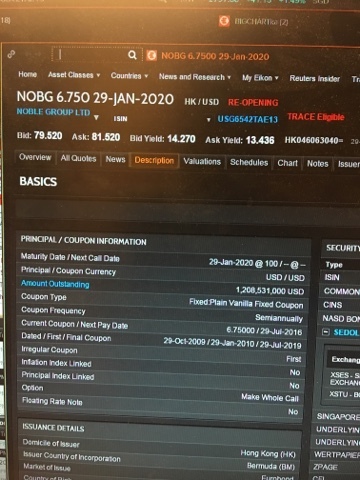 Take a look at Noble group's bond. Will you buy a bond with more than 12% yield? When bond holders want to sell at a loss rather than holding it to maturity it probably means they are not very confident with the company.